Android Oreo crDroid 4.0 ROM for Moto X Play (lux) is now available via a development version. 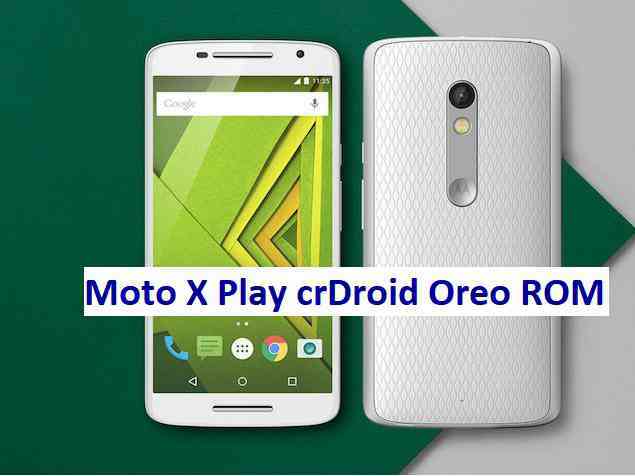 This guide provides the download to crDroid Oreo ROM for Moto X Play and guides through the installation process of Moto X Play crDroid Oreo ROM. This Moto X Play crDroid Android Oreo ROM is brought to you by althafvly. – Here is theTWRP update guide for Moto X Play. This recovery guide requires an unlocked bootloader on the phone. First install the Moto X Play crDroid 4.0 Oreo ROM ZIP from device. Then install the GApps zip from your device memory. Reboot and Enjoy Android Oreo with crDroid 4.0 ROM on Moto X Play. Stay tuned or Subscribe to the Moto X Play LineageOS forum For other Android Oreo ROMs, Android Nougat ROMs, LineageOS ROMs, other ROMs and all other device specific topics.